Inspiring Stewardship helps leaders drive sustainable development and growth by balancing short- and long-term objectives amidst competing interests. By examining a range of exceptional individual and organisational stewards alongside insights from quantitative studies, this book unlocks the contributions you can make to enhance your influence and secure your legacy. Profiles of leaders from Ratan Tata to Bill Gates illustrate what stewardship really means, and the attributes and characteristics of steward leaders. Are they fundamentally different? Where do they get their exceptional drive and resilience? Why do they shoulder such huge responsibility? 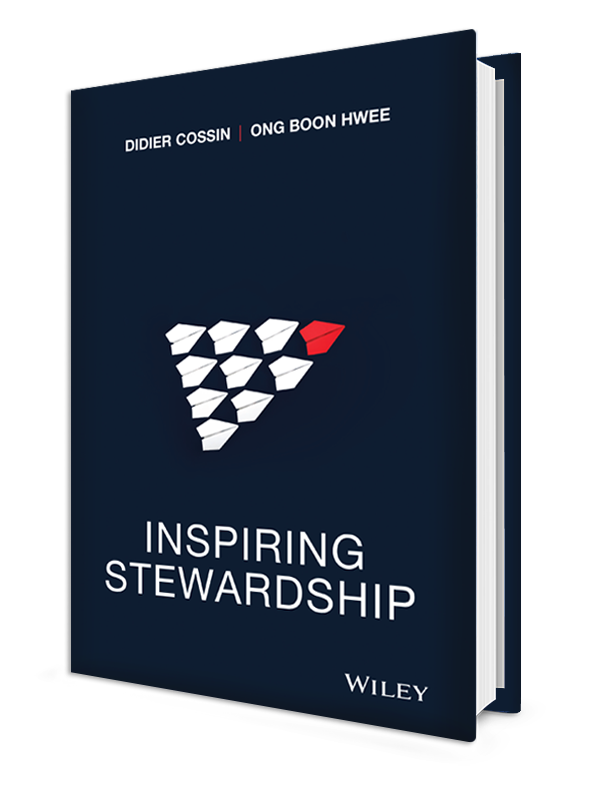 Risks, rewards, motivations and actions are explored in depth to give you a real-world view of stewardship, and to show you how to embody these principles in your own everyday life. The notion of stewardship has never been more relevant to business than it is today, as managers struggle to balance present and future interests. Inspiring Stewardship helps you break through the tension and drive sustainable growth through adaptability and good leadership. Professor Cossin is the founder and director of IMD Global Board Center. He works with senior leaders, executive committees and boards to provide the latest thinking on best-in-class governance, risk and opportunity optimization, investment selection and strategy design. He favors an adaptive and interactive approach to finding distinctive solutions for organizations on a wide range of management topics. His latest research focuses on the role of the board in achieving success. His past research has dealt with risks, M&As and financial decision making. In his work with boards, Professor Cossin helps them enhance organizational performance through strategy involvement, best-in-class decision making, information management and general governance (including board restructurings). He is an advocate of adapting board work to the economic transformation taking place in many regions of the globe, and through his international experience he has gained insights into the different ways in which societies and economies deal with the issues at stake. He also looks at the latest approaches to risk issues. His work addresses not only technical risks (for which he uses his finance background) but also those arising from a number of different factors: psychological biases, social and cultural environments, technological changes (such as in information issues), strategic choices and/or from governance structure (for which he levers his long experience with senior leaders). Professor Cossin is an advisor and/or executive teacher with the United Nations, central banks of several countries, the boards or executive committees of corporations, financial institutions and funds in Europe, Asia and the Middle East. His most significant experience is with the oil and gas industry (Schlumberger, Shell, Sinopec, Saudi Aramco and others) and the banking industry (HSBC, Bank of America, Goldman Sachs, ICBC and others), but he has also worked with many other industries (media, luxury goods, retail, shipping, etc.). He is a member of the Risk Who’s Who Society, the American Finance Association, the Eastern Finance Association, and the European Finance Association. Professor Cossin holds a PhD from Harvard University (Robert C. Merton Chair) and is a former Fulbright Fellow at the Massachusetts Institute of Technology, Department of Economics (USA). He is a former student of ENS rue d’Ulm (France) and holds master degrees from Sorbonne University and EHESS (France). Before joining IMD, Didier Cossin worked for Goldman Sachs (London, UK) and pharmaceutical company Roussel-Uclaf (Tokyo, Japan) as it was considering an initial offering on the Tokyo Stock Exchange. He has taught at Harvard University, where he obtained two Derek Bok Awards for excellence in teaching, and was associate then full professor at HEC, University of Lausanne (1993-2002). He chaired the university’s Department of Management (1995-1997); was the Director of both its Institute of Banking & Financial Management (1997-2002) and its PhD in Management (1997-1999). At IMD, he has led or co-led the pension fund, the recruiting process, a strategy review as well as other administrative responsibilities supporting the success of the organization. 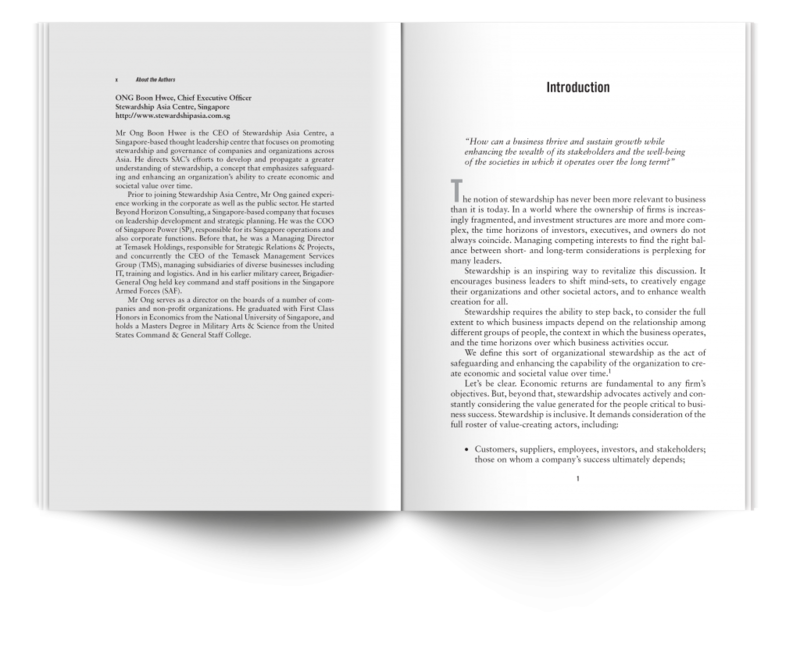 He is the author and co-author of two books, a number of book chapters and many articles, several of which have obtained citations of excellence or other awards. He holds the UBS Chair in Banking and Finance at IMD and has also received distinctions such as the Febelfin BFI Chair and the Deloitte Risk Management Chair. Professor Cossin directs the High Performance Boards program at IMD as of June 2011. Mr Ong Boon Hwee is the CEO of Stewardship Asia Centre (SAC), a Singapore-based thought leadership centre that focuses on promoting stewardship and governance of companies and organisations across Asia. He directs SAC’s efforts to develop and propagate a greater understanding of stewardship, a concept that emphasises safeguarding and enhancing an organisation’s ability to create economic and societal value over time. He recently co-authored “Inspiring Stewardship”, a book on the stewardship influence that business leaders can make to their organisations over time. Mr Ong serves as a director on the boards of a number of companies and non-profit organizations. He graduated with First Class Honours in Economics from the National University of Singapore, and holds a Master’s Degree in Military Arts & Science from the United States Command & General Staff College.